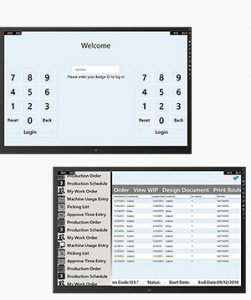 Calsoft Systems designed AX Mobile for Shop Floor based on our in-depth expertise in the manufacturing business and Microsoft Dynamics AX. 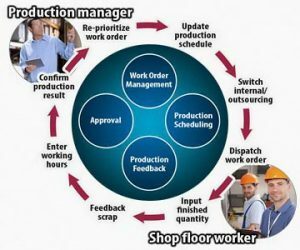 Production managers and plant employees are frequently on-the-move, working from the shop floor. This calls for multiple forms of mobile interfaces that free up workers to solve challenges right where they occur. Our AX Mobile for Shop Floor is a comprehensive manufacturing solution, razor-focused on the needs of these managers and employees. 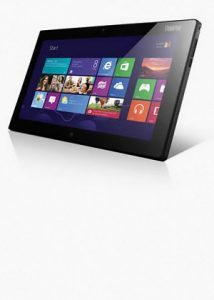 Its on-the-go accessibility leads to decision-making with immediate impact and results. 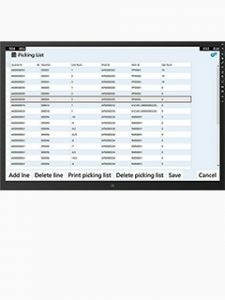 Do you currently use a printed picking list to fulfill your order? Do you refer to design documents on paper? Are your work order instructions printed out on paper? AX Mobile for Shop Floor eliminates the need for all of these. It can display these documents on your mobile device directory. When supervisors and shop workers are able to communicate closely, users can detect problems in the early stages and take appropriate action swiftly. Users can confirm the latest information at any time and take action with ease. With our solution, users can move around the shop floor while managing it from wherever they are.